FastestVPN Features Review - the Best VPN Service? When searching for the best VPN service, security and speed are the two main aspects that one needs to consider. You need a VPN that applies strong encryption to secure your online traffic and that provides fast performance. In addition, having a high quality, intuitive VPN app can be a bonus. Cayman Island based provider FastestVPN is a service that satisfies all these needs. It makes use of strong security features to defend your data from ISP monitoring and cybercriminals and at the same time, provides extraordinary speeds. Their app is simple and efficient, and the service is reliable. The network is focused on user security and has strong commitment to privacy. Their customer support is exceptional and offers reasonable price plans. Let’s dig into everything that makes FastestVPN an ideal VPN service. To keep your data secure, FastestVPN uses strong AES 256-bit encryption that ensure that snooper and hackers can’t monitor your browsing history, chats, or anything your do over the internet. FastestVPN supports a wide range of security protocols that includes OpenVPN (UDP and TCP), PPTP, L2TP, OpenConnect, IKEv2, and Xsec. You can use OpenVPN on different device as it is the most preferable when it comes to security and effectiveness. You can easily select any protocol and server that you want from within the app. When using FastestVPN, your entire online data is protected and you won’t need to worry about any online threats that can put your privacy at risk. If you’re worry about your online activities and confidential data, you will be glad to know that FastestVPN doesn’t keep logs. It keeps your privacy protected and doesn’t keep records of your online information, internet traffic or your connection details. Though fastestVPN is based in Cayman Islands, it promises not to share your data to ISPs or third parties, even if it receives any request or notice form the authorities. The only thing FastestVPN safes is the name and email address you used during registration. However, you can easily use a pseudo ID to register. Another thing that has amazed me about FastestVPN is the use of Bitcoin as a method of payment. Using bitcoin for payment will definitely help users to enhance their online privacy and security. 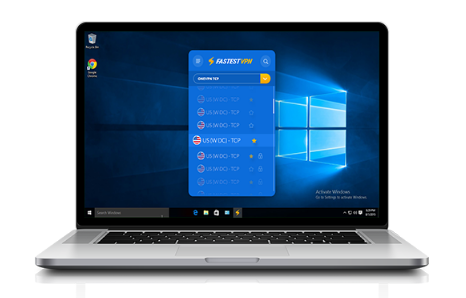 FastestVPN offers desktop software and apps for various platforms including Windows, Mac, iOS and Android. You can setup the service on router and Linux (Ubuntu), with the help of guides available on the website or you can talk to their support team who will help you setup the app on your devices. Their VPN client is well designed, easy to use and makes your experience with the service simple. Whereas their desktop version user-friendly as well. You can use their service in up to 5 devices simultaneously. Since FastestVPN has a strong commitment to user security, it is great to see that it is offering so many features to protect your online data. Another great security feature we found from FastestVPN is the NAT Firewall. This feature, when enabled, uses end-to-end encryption to protect your data against malicious threats. FastestVPN offers this feature as part of their service without additional charges, which is great for users. FastestVPN further secures your connection with malware protection that prevents infections from damaging your device. Both these features are activated as soon as you connect with the service. Additionally, there is an Adblocker feature that blocks unfavorable ads from popping on your screens and interrupting your browsing experience. Apart from offering some really amazing security features, FastestVPN is also an effective solution to avoid online censorship and get access to global content that is not available in your region. You can use FastestVPN to unblock Netflix US, BBC iPlayer, and other streaming services with ease. You can choose from thousands of IPs to bypass restrictions effectively and enjoy anonymity. At the moment, fastestVPN has over 70+ servers available in 13 different regions including United States, United Kingdom, Canada, Australia, China, Singapore, etc. not many countries, but since it’s a new service, we expect it to offer even better performance and more options as they grow. Unlike other VPN providers who only have virtual servers, FastestVPN has dedicated physical servers that will give your fast data transfers and high performance when you browse and download. Their servers are optimized for P2P, and there also offer unlimited switching and bandwidth. The speeds are remarkable and you will be able to stream your favorite content and download without facing restrictions and delays. 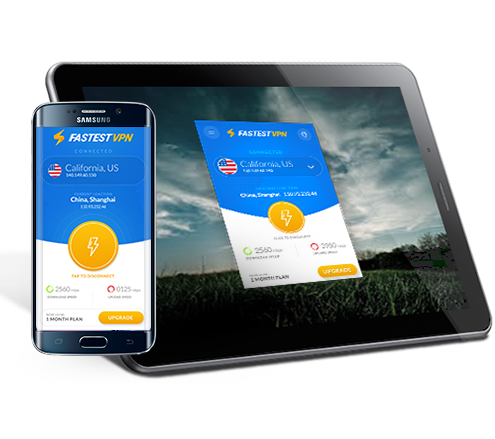 Overall, the features fastestVPN offers are exceptional and the level of security provided is second to none. However, the only thing that it need to improve on is their lack of servers, and they also need to add a kill switch options which is an essential feature of a VPN service. Not only is FastestVPN convenient, but it is also affordable. With strong security and privacy features to high performance, FastestVPN also give offers affordable subscription plans that includes a three years plan for $49.95 triennially, which makes it as low as $1.38 per month. This the cheapest 3 years plan by any VPN provider in the market. There is a 62% discount on their 12-months plan as well, which costs $44.95, taking it to $3.74/month. They also offer a one month plan for starters who wants to try the service and it will cost $10 per month. There is no free trial available currently, however, they do offer a 7-day money back guarantee. They accept payments through credit cards, PayPal and even Bitcoin. Also don’t forget to check FastestVPN promo codes and coupons to save upto 90%. FastestVPN is doing an amazing job to help its customers. On their website you will find a great deal of information about how to use their services, through simple guides and FAQs. And if you have any further queries or need assistance, you can also talk to their support team via live chat or email. We tried to contact them through live chat and found them to be super-active and responsive in solving our issues. The people behind fastestVPN knows how to deal with customer problems and we believe it’s the most important thing to keep its existing customers happy. Team fastestvpn please launch your iPhone app, On pc VPN is working awesome.